Superior quality elevated 2 application bedding solution lifts your furry friend off the cold, hot or hard ground to promote air flow ventilation on all sides and provide the underneath space for vacuum clean/wipe in order to keep the area clean. 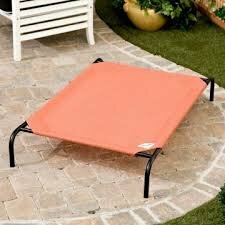 This elevated bed also comes with removable 3″ thick memory foam bed to promote better sleep, healthy joint and easy to maintain. High quality 100% 45″X27″X3″ solid cooling gel memory foam to provide the best support. Relieves the pain of arthritis, hip dysplasia, joint and muscle stiffness. Memory Foam never loses its shape, providing years of comfort & support. 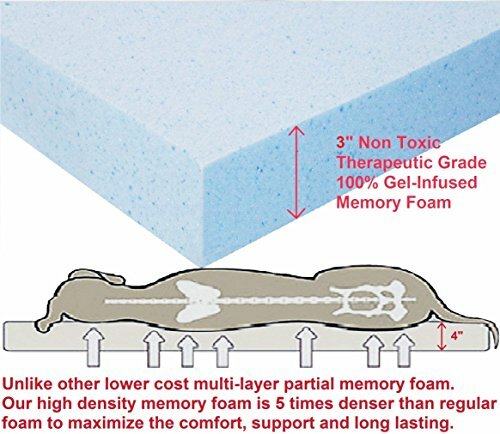 Memory foam has a soft feel that is similar to gel in that it adjusts to your body’s shape and pressure point for maximum resiliency and comfort. 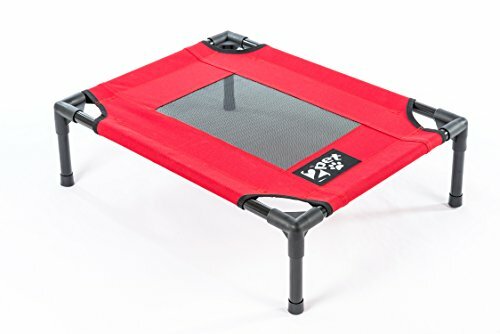 The external zipper fabric cover is machine-washable soft Microsuede cover with a non-slip grip bottom to protect memory foam bed from normal wear & tear. The cover is stains and wrinkle resistant in nice coffee brown color. 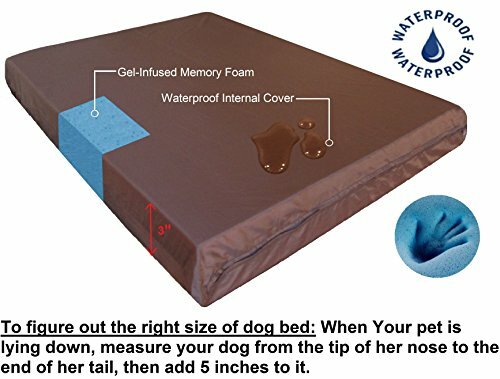 The bed also comes with one waterproof internal zipper taffeta fabric cover in brown color for maximum protection and long lasting application. 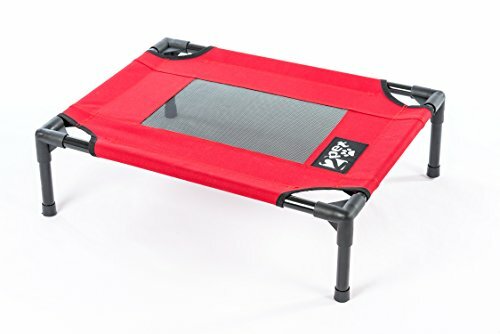 DogBed4Less 48″X30″X4.5″ Pet Cot frame and memory foam pad combo is excellent for Medium to Extra Large breed dogs. PAY LESS than 40% to 70% compares to retail price. 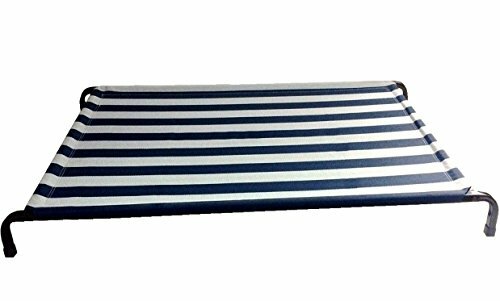 The bed comes with 1 45″X27″X3″ memory foam bed (Microsuede brown color), 1 Textilene cover in blue/white color, 1 complete pet bed cot metal frame in black color with 4 screws + 1 wrench and instruction. 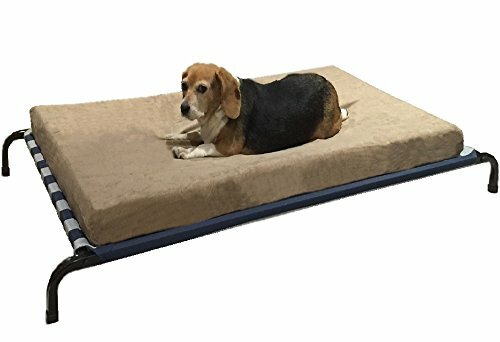 DogBed4Less design and sell quality pet bed by using the best material to provide the super comfort and practical bed that your pet and owner will love! 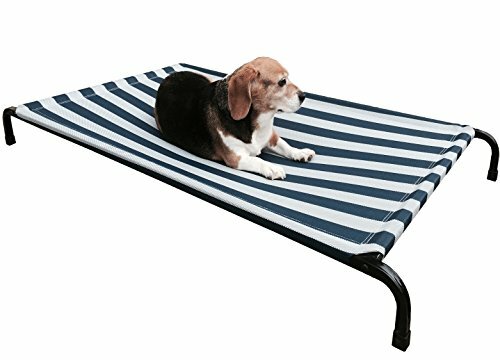 More bed options are always available at Dogbed4less storefront in Amazon. 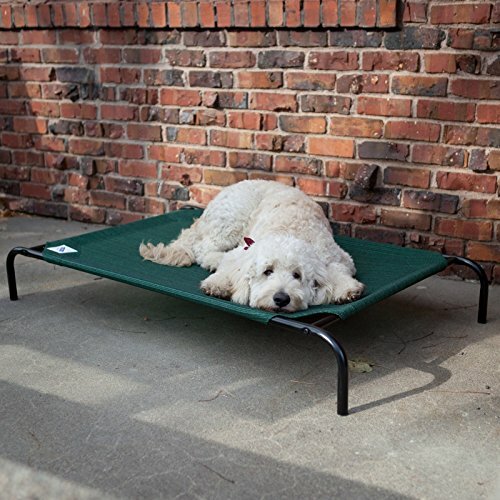 DogBed4Less design and sell quality pet bed by using the best material to provide the super comfort and practical bed that your pet and owner will love! 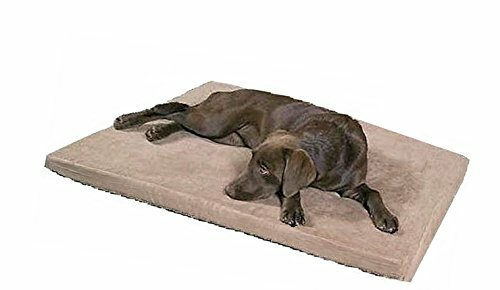 More bed options are always available at Dogbed4less storefront in Amazon. 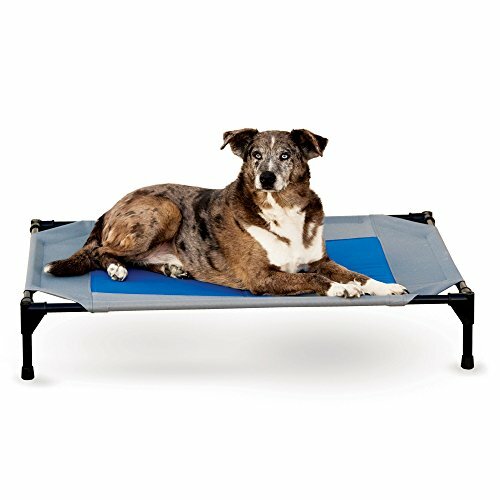 This elevated bed is made with breathable heavy duty Textilene fabric that enables breeze to pass through and around to cool your pet and keeps pets comfortable. Textilene is a mesh fabric woven of strong polyester yarns that are individually coated with PVC, because it is elegant, strong and very durable to outdoor exposure. Those Textilene fabric is resists to fleas, mites, mold and mildew. 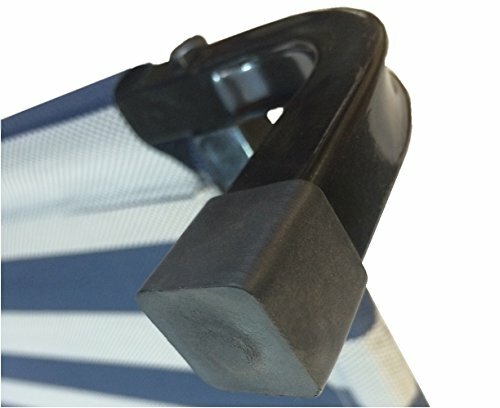 The fabric is UV protected and easy to maintain and clean. Our powder-coated steel frame is lightweight and sturdy. This user friendly design just requires only 4 screws and a wrench (all provided) for quick assembly in less than 10 minutes. The bed also comes with no-slip rubber feet to protect floors.